Marketing Horizontal Drilling for Oil Great STEM Rube Goldberg Video – Girls Love Making Stuff! 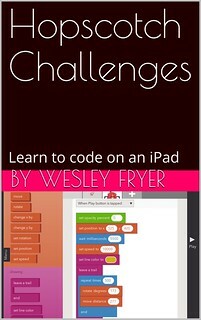 Last week I published a short eBook I titled, “Hopscotch Challenges: Learn to Code on an iPad!” I’m using the eBook this month with my 4th and 5th grade STEM students, as I teach them (and they also teach me) how to code using the free iPad app, Hopscotch. I couldn’t find a curriculum online with short, open-ended challenges for my students to attempt, so I created an eBook of ideas along with some tips. I initially published the eBook on my DropBox account, and linked it from both my “iPad Coding” STEM Resources page as well as the “Simulations and Games” page of Mapping Media to the Common Core. I’d like to distribute this free eBook / resource as widely as possible, however, so this weekend I spent some time trying to publish it on other sites including Amazon, Apple, and Smashwords. The eBook is currently available on Amazon and Smashwords. Hopefully I’ll have it on Apple’s iBookstore soon. Here are some of the things I learned about eBook publishing along the way. Before I share this weekend’s eBook publishing “lessons learned,” I’ll mention (for those who may not know) that I’ve published two eBooks previously: Playing with Media: simple ideas for powerful sharing (2011) and Mapping Media to the Common Core (2013). I’ve published eBook formats to Amazon via Kindle Direct Publishing, to Barnes & Noble via the now-defunct “Pub-It” website, and to my own website via e-Junkie‘s shopping cart services. I’ve published my print books via CreateSpace and Amazon. Some of my past conference presentation slides, recorded videoconferences, blog posts and podcasts about eBook publishing are linked on my “Creating Multimedia eBooks” resource page. In the summer of 2011, in the summer of 2013, and this past weekend I’ve found the process of trying to publish an eBook on Apple’s iBookstore (via Apple’s “iTunes Producer” software) an absolute nightmare. I’ve spent MANY hours, in total, trying without success to create and modify eBooks with a variety of software programs which can pass Apple’s rigorous ePUB validation processes. I’m a pretty savvy guy, and by all rights I SHOULD be able to get this process to work, but (to date) I haven’t. It’s as if Apple hired Microsoft employees who have spent their lives creating NON-user-friendly WindowsOS computer systems and asked them to develop their eBook publishing software tools and processes. They are NOT user-friendly, as virtually all other Apple-designed software programs are. I seriously think Apple may have designed this process to be intentionally fraught with pitfalls and common errors to inhibit “everyday folks” from publishing their eBooks on their store. If that’s not the case, I’m mystified why the process of publishing on Amazon via KDP is so incredibly easy, while Apple’s process is so incredibly hard. So hard, in fact, I still haven’t successfully done it myself. Yuk. This weekend, in about fifteen minutes, I published my ePUB eBook to Amazon’s website via Kindle Direct Publishing. I already had an account with my tax ID info and bank account verified, so this was a quick process. I was pleasantly surprised with the results of using KDP’s provided eBook cover designer, and I used it to create a cover for my eBook. I submitted the eBook to KDP Saturday night, and by Sunday morning it had passed review and was available online. KDP doesn’t let you select zero / free as your price, as both Apple and Smashwords do. I initially set my price at $2.99, but then today changed it to 99¢. I want this to eventually be FREE on Amazon.com, but I’m having to go through some different steps to HOPEFULLY accomplish that goal. 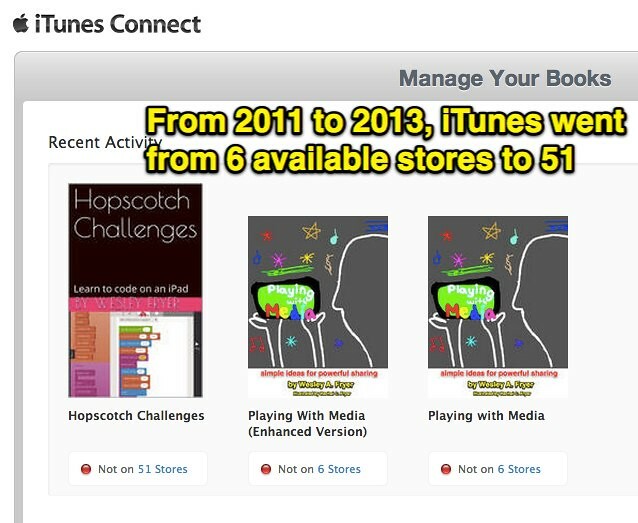 When I tried to publish “Playing with Media” on the Apple iBookstore in July 2011, Apple had six digital eBook stores worldwide. Now Apple has 51 available. Not bad growth for a two year period. This statistic is a clear example of the transitional age in which we’re living for books, publishing, and literacy. 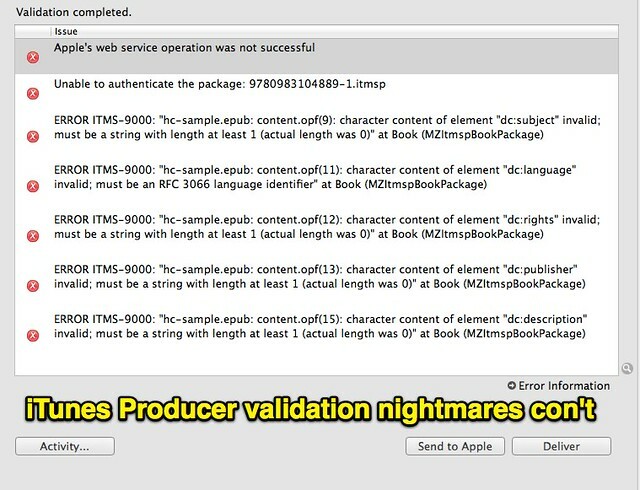 I encountered a series of validation errors when I uploaded my finished eBook to Apple using “iTunes Producer” software. In the past I’ve created ePUB eBooks using Apple’s Pages software and Scrivener software. 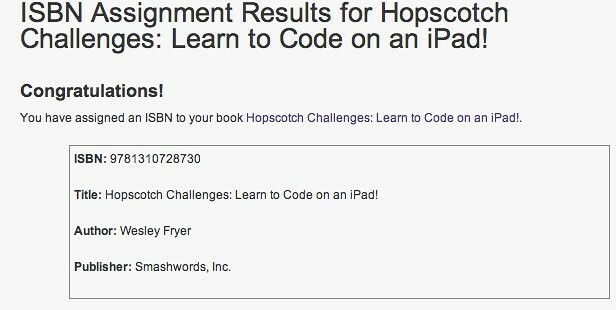 For this eBook on Hopscotch, however, I created it entirely on my iPad2 using the app “Creative Book Builder.” ($4) I hoped Creative Book Builder would create validation error-free ePUBs, but this was (alas) not the case. I visited with a friend today who just published his first eBook on Amazon, and he told me he’d figured out how to run a discounted promotion. I’ve seen other authors offer their eBooks for FREE on Amazon, so I knew it was possible, and tonight I figured out a couple of ways to do this. 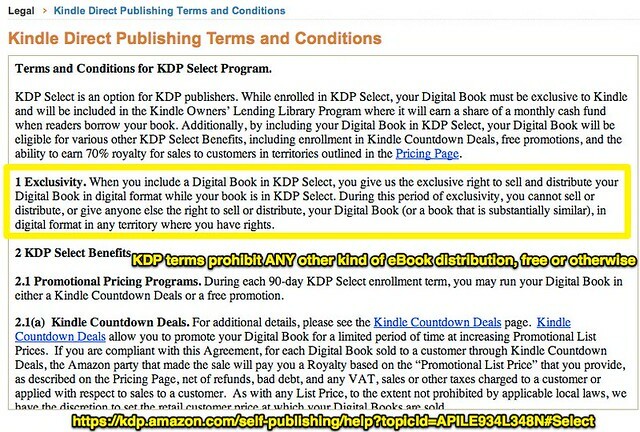 The first way to offer your book for FREE on Amazon is to enroll (in Amazon’s KDP program) in the “KDP Select” program. Once you’re enrolled, you can offer your eBook as a FREE download for up to five consecutive days, every 90 days. You can’t list your eBook to be available free constantly, just for five day intervals every three months. This isn’t something I want to do with “Hopscotch Challenges,” since I want it to be available FREE 365 days of the year. I also am not willing to ONLY distribute the eBook on Amazon.com, particularly because of these restrictive terms on free distribution. The second way to offer your eBook as a FREE download on Amazon is to “game” the system a bit. Basically, authors have in the past (and can still try today) to first list their eBook on Amazon via KDP for 99¢, then post it for free on competitor websites like Smashwords. 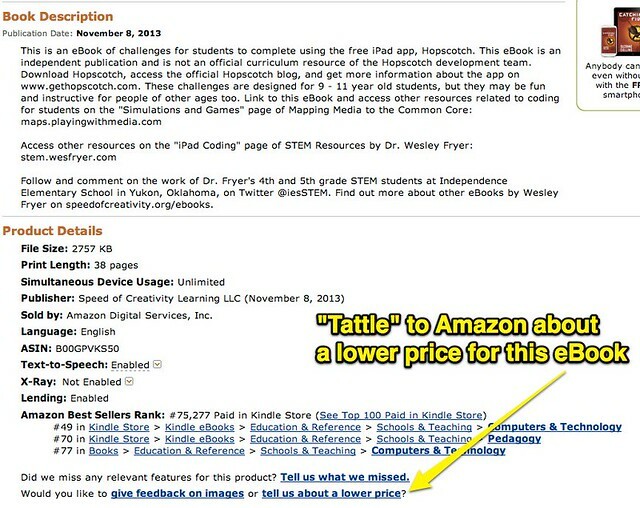 You can ask others to “tattle on you” via the “tell us about a lower price” link on the eBook’s page. If you’re reading this post, you can actually help me by using this link to report “Hopscotch Challenges” to Amazon, using my eBook’s Smashwords link as the example of a free/lower price version. 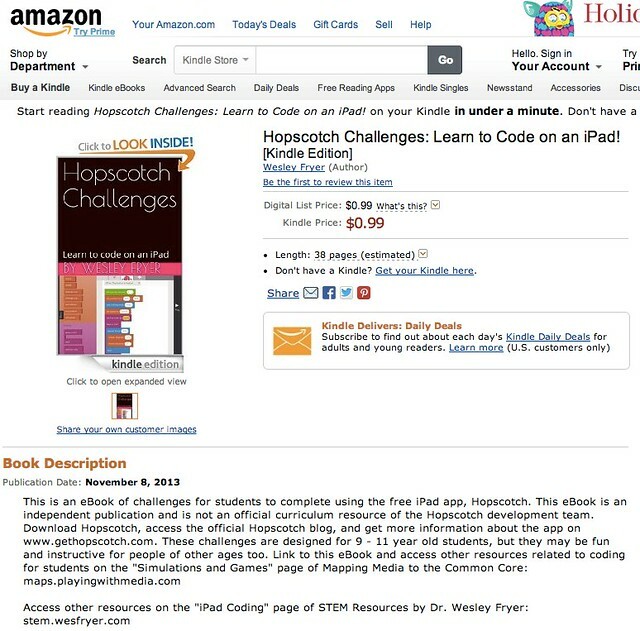 What Amazon will hopefully do, in this case, is change the price of “Hopscotch Challenges” from 99¢ to zero / free. That is the “nice” thing they could do. If they want to be mean, they theoretically could suspend my entire Amazon KDP account. Hopefully they won’t do that. The things I’ve read online (like this forum thread) to date indicate that’s not common. The September 2011 video, “How to Make Your Ebook Free at Amazon / Barnes & Noble,” advocates this strategy for getting your eBook available for FREE on Amazon. 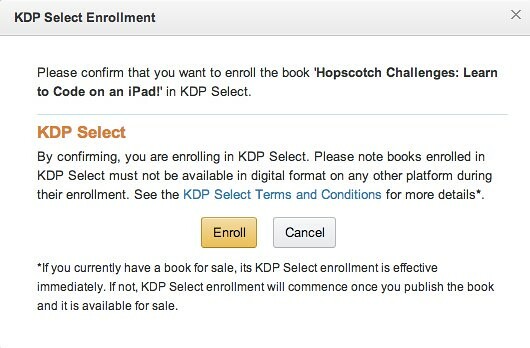 After learning more about “KDP Select” tonight and deciding it’s not a publishing option I want for this eBook, I signed up for a free Smashwords account and published “Hopscotch Lessons” there for free. This literally took less than ten minutes, and I WAS able to set a price of zero / FREE for the eBook. I also customized my Smashwords author profile page with links, a video about why “Playing with Media” is important, and other info. Smashwords lets authors publish eBooks for free downloading. 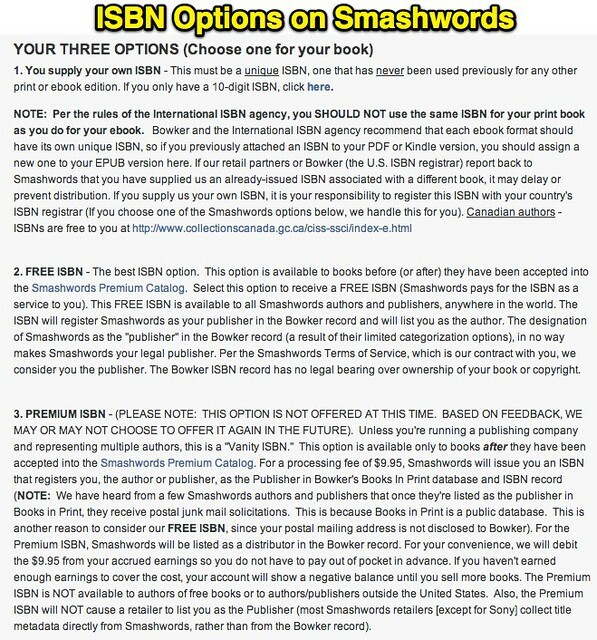 Smashwords provides free ISBNs for eBooks, if desired. 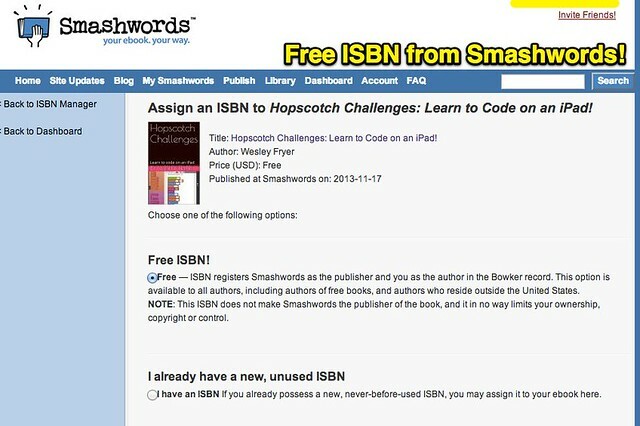 Smashwords can cross-post eBooks to Apple’s iBookstore, along with other online distributors, for free. I purchased a block of ten ISBNs in 2011, before I published “Playing with Media,” because I understood (correctly) that a separate ISBN is required for each different FORMAT of an eBook or book that you want to publish and sell. I say “correctly” because that is the official answer, and some online eBook distributors (like Apple) require that each eBook have an ISBN. Amazon doesn’t require ISBNs, however. Smashwords doesn’t require that you have one, but if you want to cross-publish to Apple’s iBookstore (which I want to do) you have to have one. Now “Hopscotch Challenges” is pending a manual review at Smashwords, which will hopefully be finished this week. After it’s approved for its “premium catalog,” I’ll be able to cross-publish it (free) to other online distributors, including Apple. Please tell other teachers you know about “Hopscotch Challenges.” The “Hour of Code” is coming up next month during Computer Science Education Week, December 9-15, 2013! Have you learned things about publishing eBooks online for FREE that I haven’t mentioned in this post? 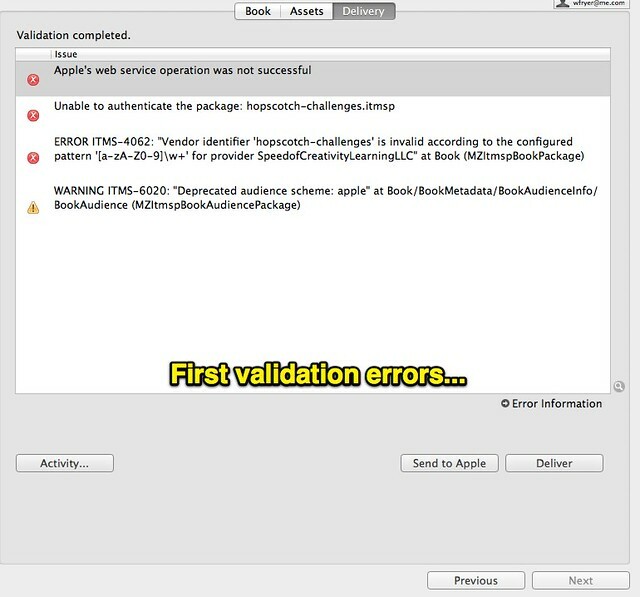 The epub validation errors shown are caused by empty fields for book information. If you fill all of them in Book Information within CBB app, they will be gone.